The Review: This map is based on a Quake map all the way from 1997. Remakes based on popular and iconic maps are quite common (see Gotcha! from a few weeks ago), but remakes based on more obscure maps are obviously less so. 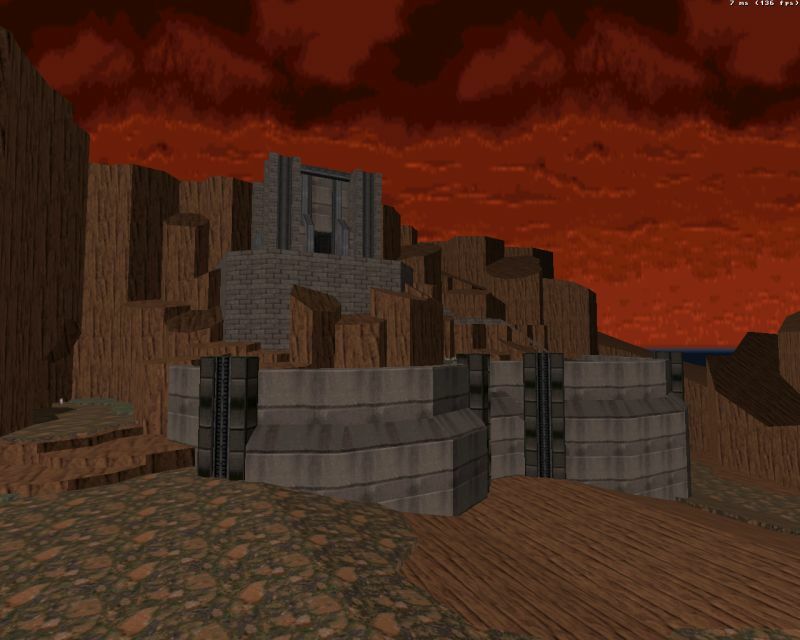 In this case the original itself is a rather generic medieval-themed map with a decent design for a 1997 release, but it's also quite tight in most places, which isn't really ideal for Quake's frenetic pace. This Duke3D remake by Peter Williams (who resurfaced a few years back) is a considerable improvement over the original. In fact, while the map's layout is mostly recognizable, you often have to "squint" in order to get a good idea of where you are in terms of the original. Peter is again playing to his strengths with the map's emphasis on detailed but barren outdoor terrain. All this blends nicely with the map's industrial parts, which seem to be in the process of being reclaimed by nature. (Notice how texturing is an effective intermediator between these two themes.) 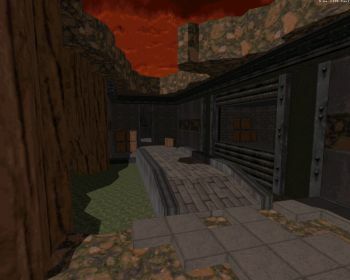 The map also affords more space to move around than its Quake counterpart, and its approach to combat is quite different too with emphasis on massive battles, especially towards the end of the map. Having never been a big fan of such gameplay in Duke3D, the last battle in particular started to wear me out a little bit. There's nothing too difficult here though; a good stack of pipe bombs and ample health are more than enough to help you take care of those 400+ aliens.